By Laurence A. Levine, M.D. Are You Coping with Peyronie’s Disease? 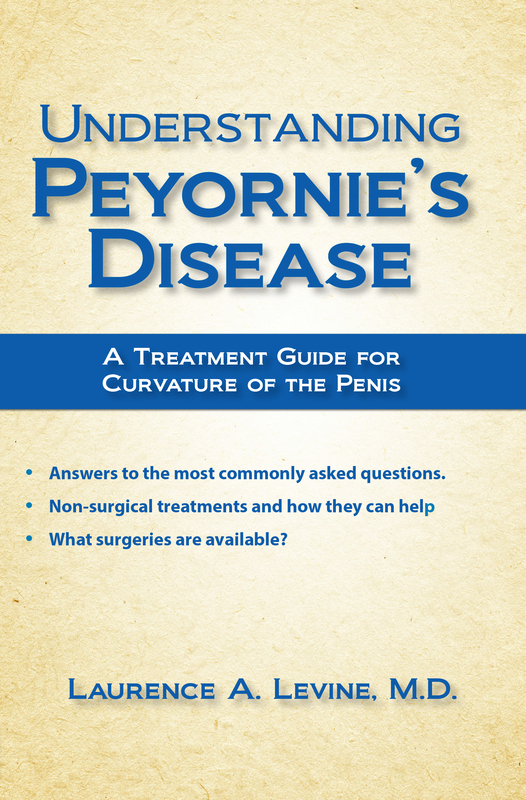 If you’re coping with Peyronie’s disease, you already know the psychological and physical pain that can come from it. And, you’re not alone—it’s estimated that as may as 10 percent of adult men are affected by Peyronie’s disease. Why is it important to get a medical evaluation as soon as possible? What are the surgical options and when should I consider them? Does treatment resolve erectile dysfunction? The Book that Will Thoroughly Answer Your Questions!